All that talk about being the most important meal of the day has made breakfast mad with power. 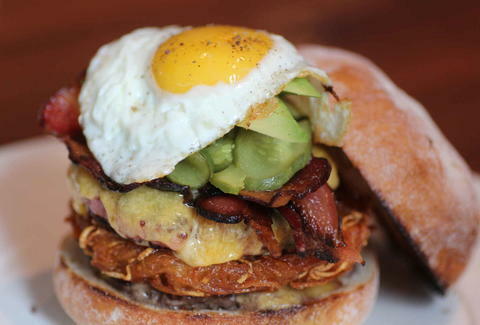 Last week, we dedicated Fat Kid Friday to the glories of brunch. This week, the meal has once again dominated in the form of breakfast sandwiches loaded with brisket, bacon, sausage, and words we don't even know. 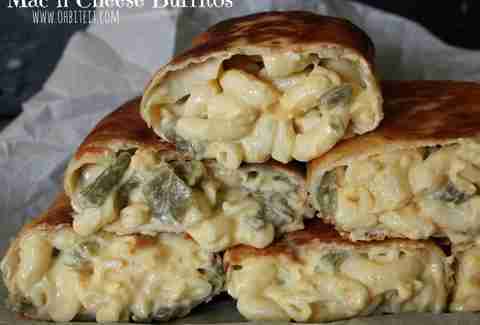 Luckily, there's also a mac & cheese burrito to temper the madness. Mac & cheese is delicious and all, but have you ever tried to eat it with your hands? It's the surefire way to take a date from zero to awkward in a split second. That's no longer a problem thanks to this recipe innovation, which rolls poblano pepper mac & cheese into a burrito, then deep-fries it into a hand-held wonder. 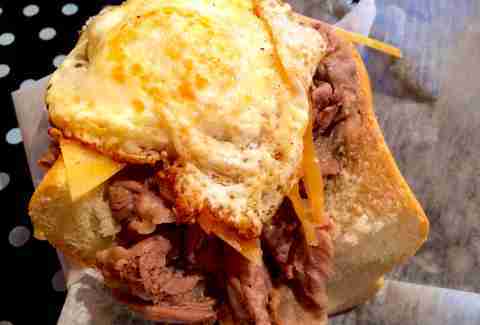 This explosion of Texas pride in the nation's capital is essentially a tower of juicy brisket, aged Gouda, and a fried egg that sends all the yolk and brisket juice raining down on an unsuspecting hunk of bread. It tastes like America. And America is delicious. When Iron Chefs tackle the humble fried egg sandwich, it makes you seriously ashamed of the scrambled-egg sandwich you were so proud of this morning. 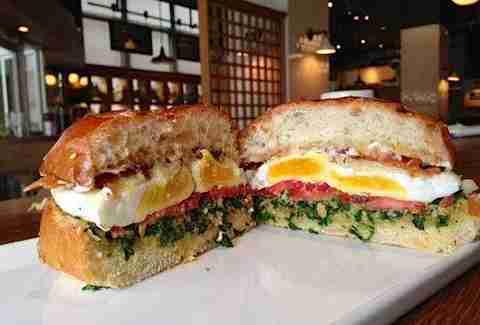 Two brioche slices house almond pistou, giant fried eggs, manchego, bacon, and tomato. Don't be intimidated just because you probably didn't know what pistou was until you Googled it five seconds ago. We've seen our share of brunch burgers -- even glazed donut ones -- but this is our new champ for a simple reason: the patties. All three of them. The easily-ignored beef layer pales under fried hashbrown and breakfast sausage patties, which make this the shining example of everything that a breakfast sandwich should be. 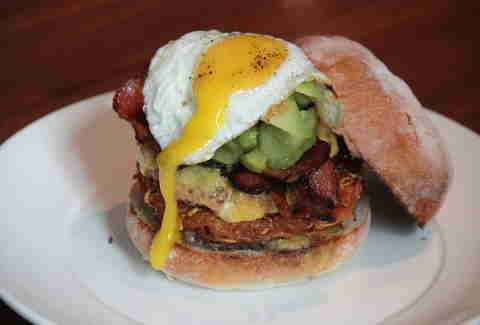 There's also bacon, avocado, and a fried egg, just in case you weren't already swayed. Liz Childers is a food/drink editorial assistant at Thrillist, and would like each of her San Francisco friends to order this burger and send it rush delivery to NY. Follow her to reasonable food demands at @lizchilders1.